I’ve always been curious about 335 Grand Street – one of the buildings involved in a partial collapse that I linked to earlier today. It’s design is – odd. Clearly Italianate in design, but the unibrow swag lintels are unique, and the relationship of the lintels to the undersized windows is awkward at best. 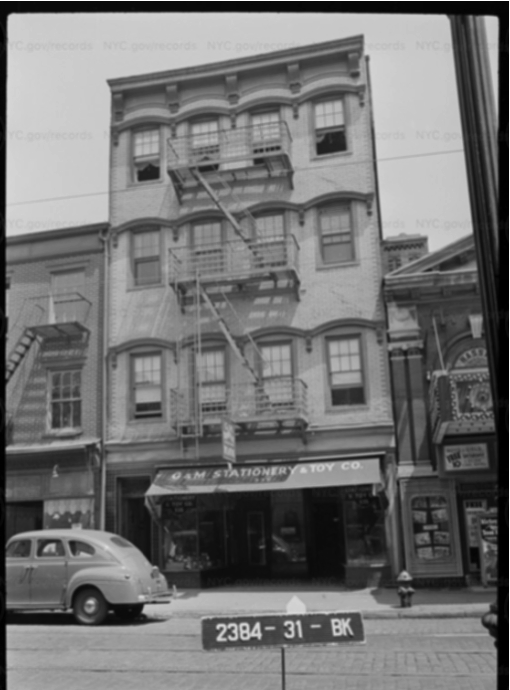 Looking at the 1940s tax photo, it does appear that something changed on the facade. The brickwork at the front appears to be toothed in, and the windows have a brick enframement, all of which may be an indication of alterations.